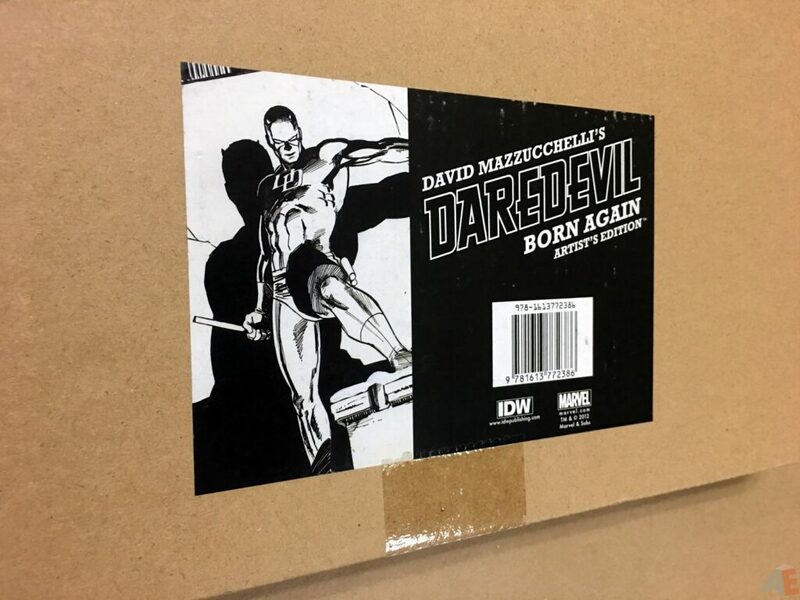 IDW proudly presents DAVID MAZZUCCHELLI’S DAREDEVIL BORN AGAIN: ARTIST’S EDITION, collecting all seven issues of the Born Again saga in its entirety. Considered by many to be the definitive Daredevil story, written by Frank Miller and drawn by David Mazzucchelli, this epic tale represents two unparalleled creators at the peak of their story-telling powers. 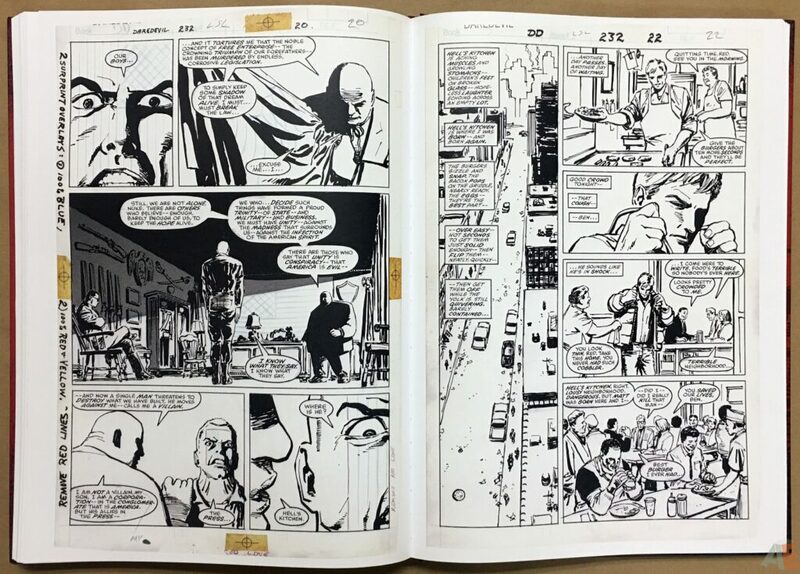 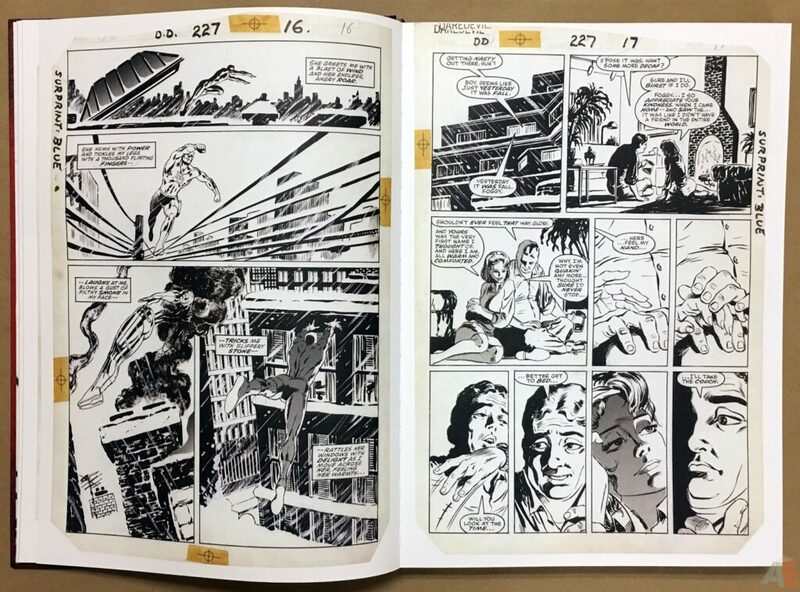 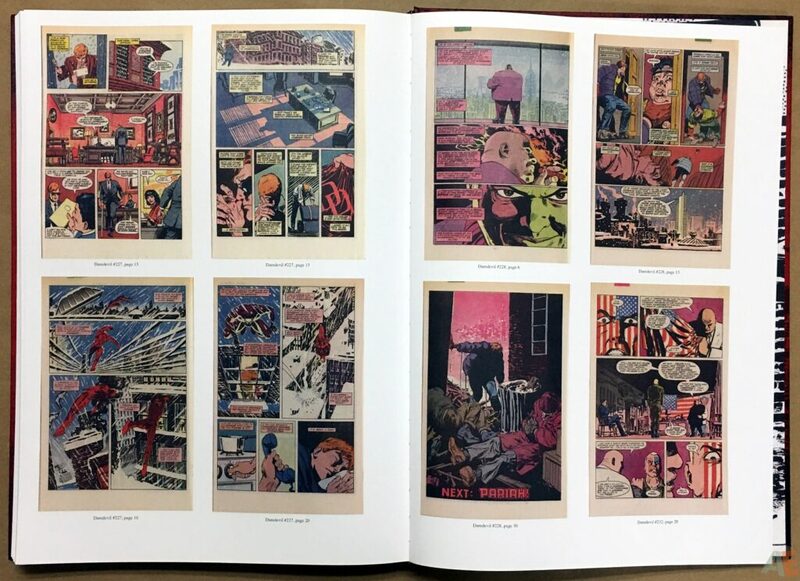 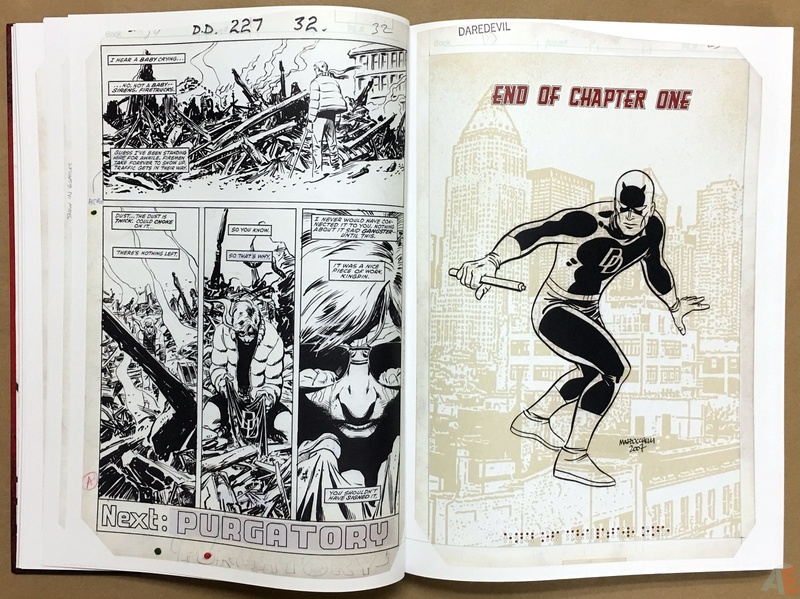 Each page has been personally scanned by David Mazzucchelli from his own original art at the same size he drew it, and in color (to insure the best possible reproduction). 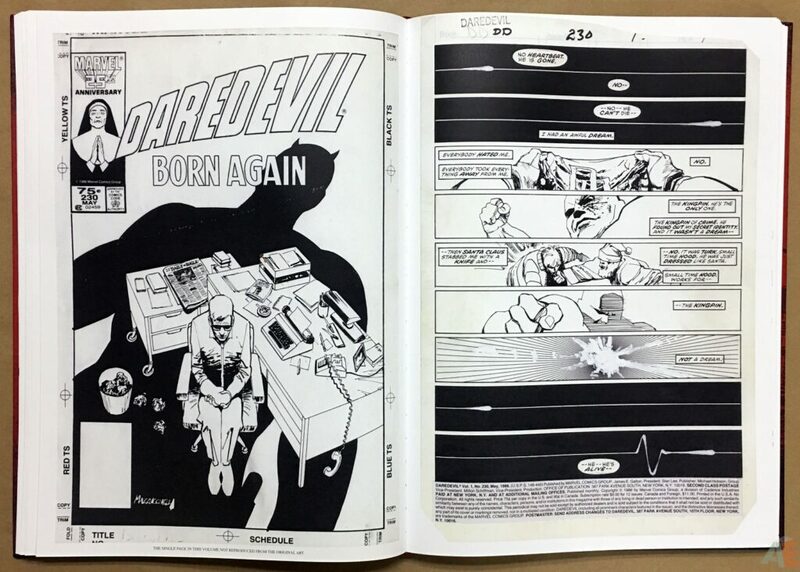 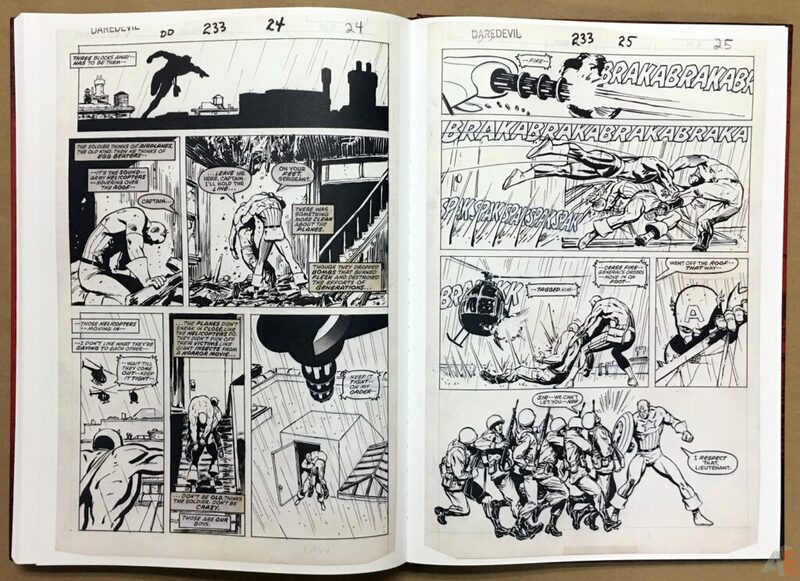 One of the greatest Daredevil stories ever told, David Mazzucchelli’s Daredevil Born Again: Artist’s Edition is the ultimate version. 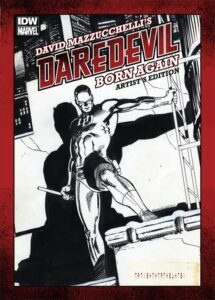 Arguably the best Daredevil story ever, Born Again is a high water mark for Frank Miller’s writing and David Mazzucchelli’s art. 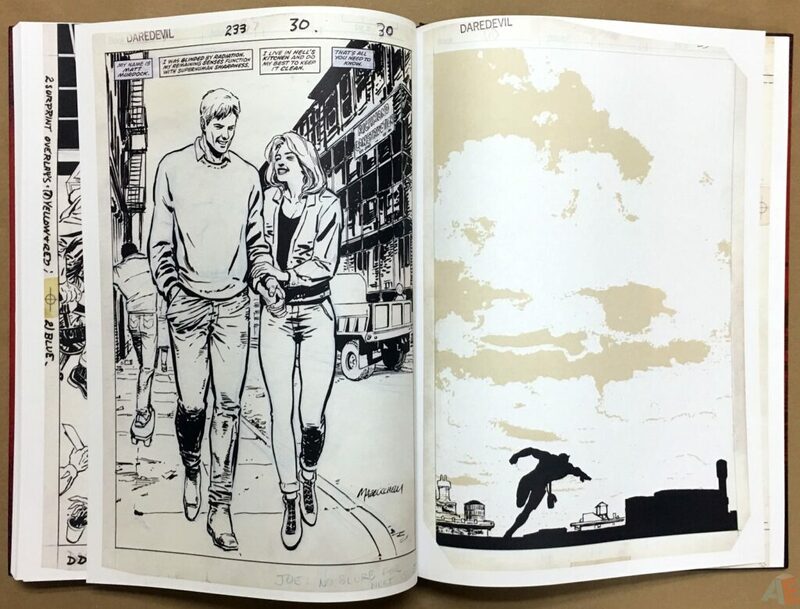 All the art is here, covers and interiors, direct from Mazzucchelli. 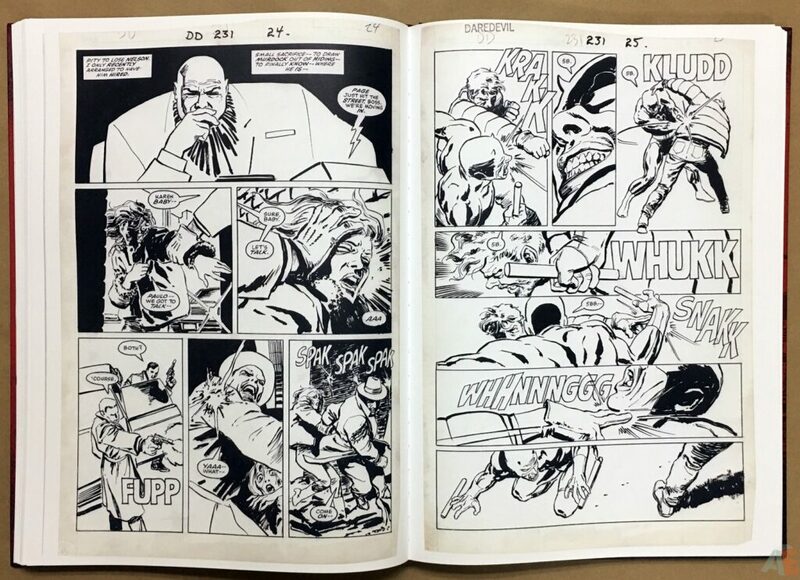 He either had the art or had excellent colour scans of the art, after selling two issues from the series. 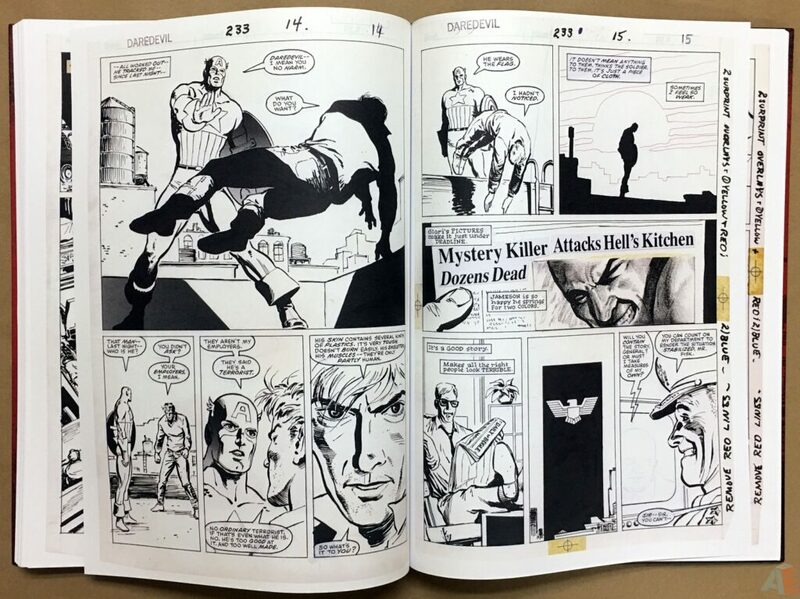 Issue 233 shows up a lot on Comic Art Fans so that’s one but it’s a guess as to the other. And what scans they are. 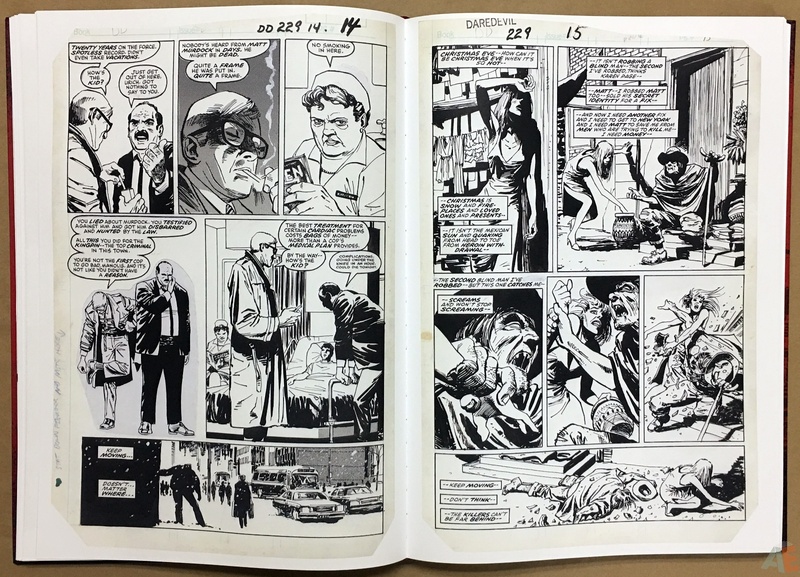 The art is clean and well preserved with minimal aging or yellowing. 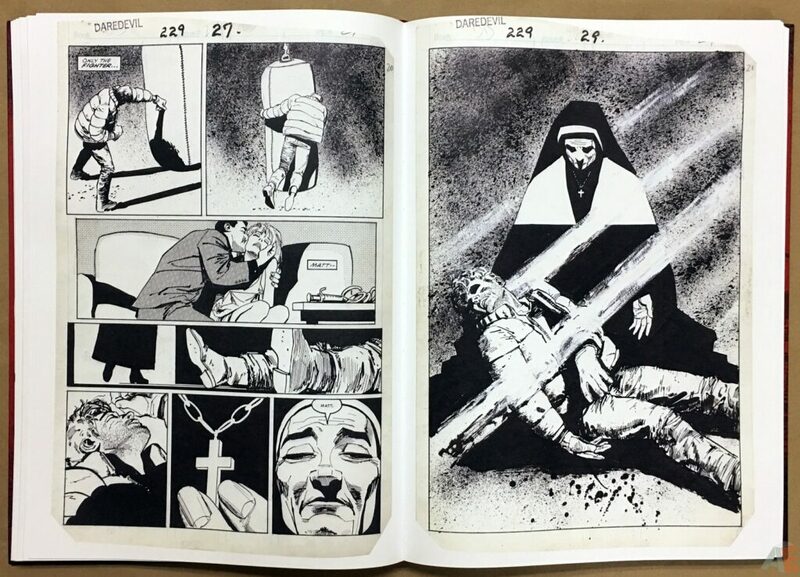 Mazzucchelli’s art is already clean with minimal shading. 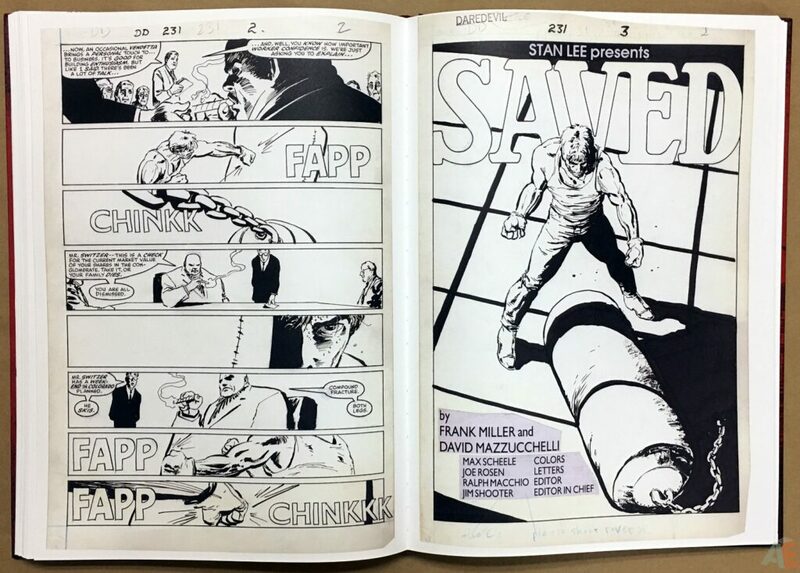 Zip-A-Tone and ink applied in just the right spots. 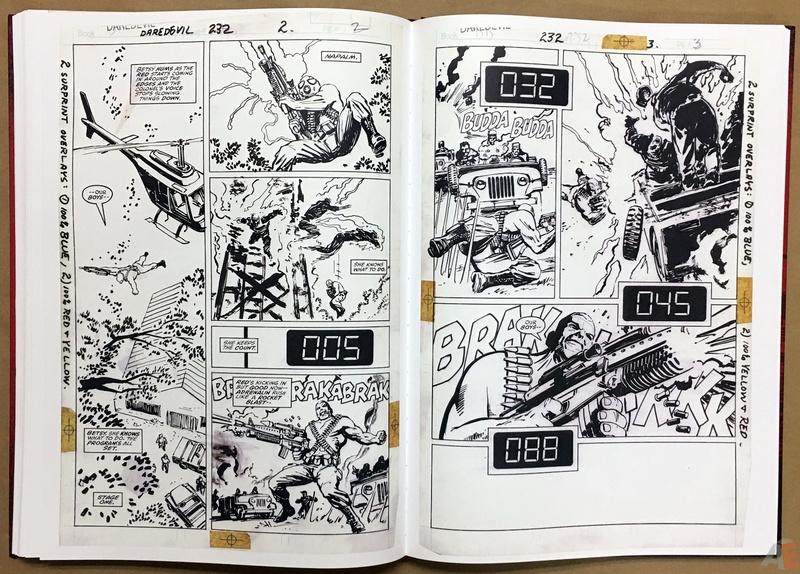 What’s missing are eight vellum overlays done for specific colour printing, where Mazzucchelli did the extra colour of the page for specific imagery. 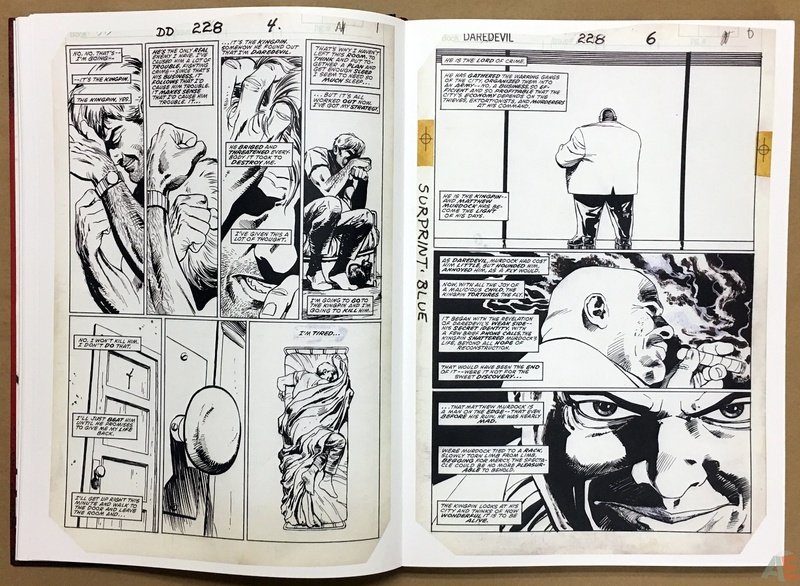 This is mentioned up front and in the extras at the back are the pages in colour with the overlays so you know what’s missing. 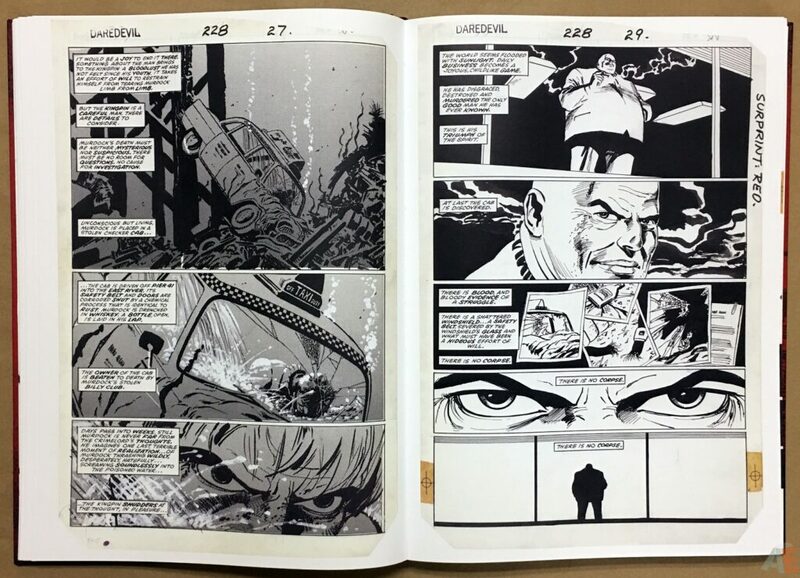 Unless you know it’s missing as you read the story it doesn’t detract. 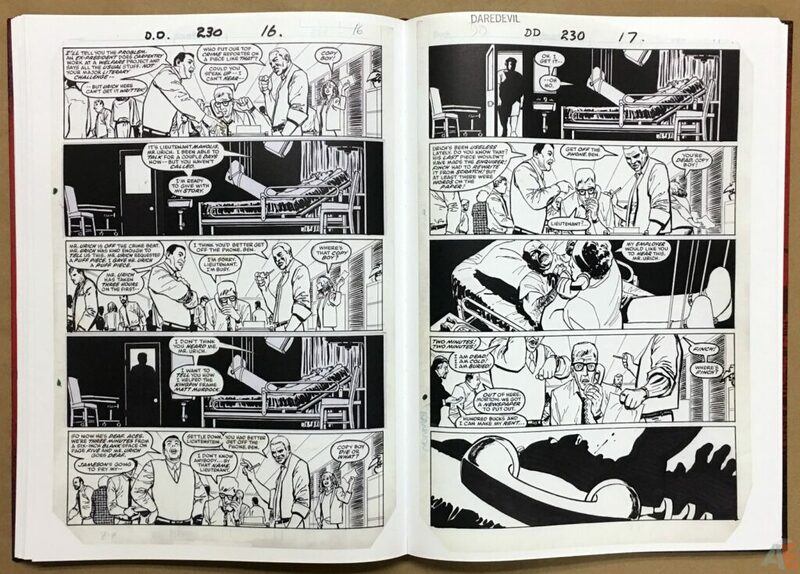 Speaking of extras, we’re well treated. 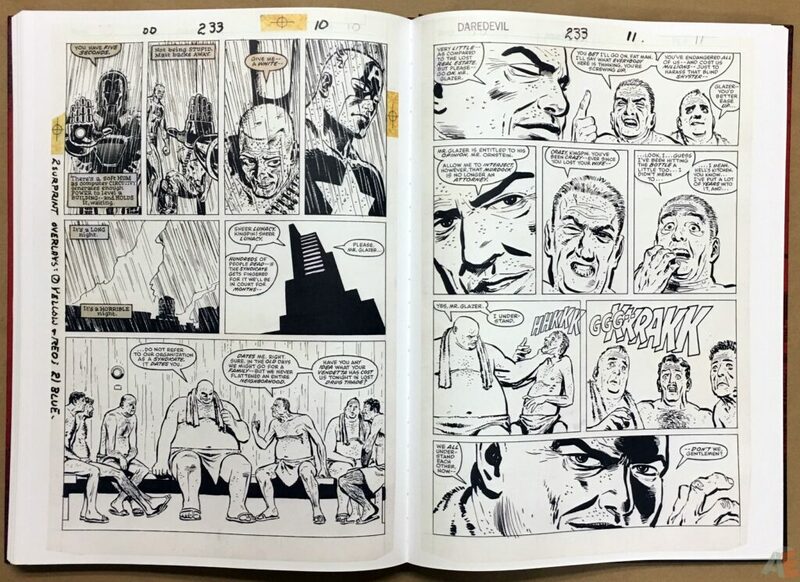 An insightful introduction by the artist sets the stage, and then in the Gallery there are two covers, the Marvel Age below my favourite, and several pages of pencil roughs and breakdowns from the artist. 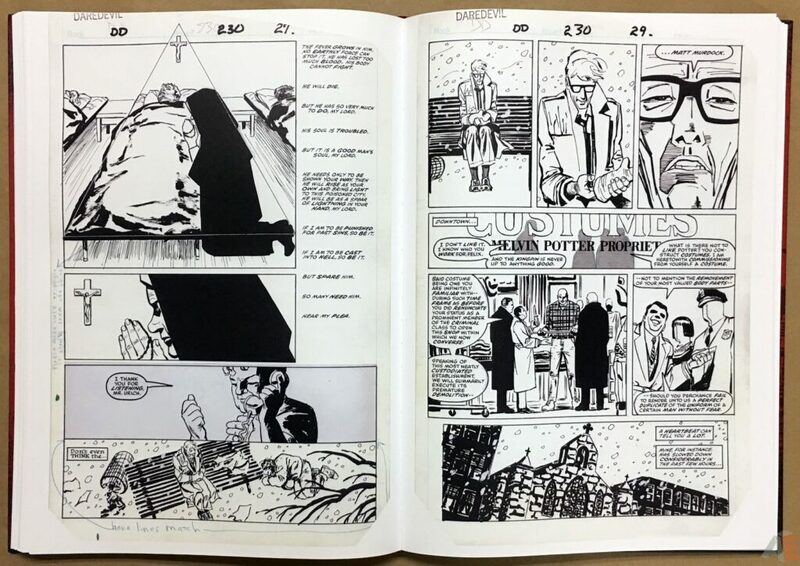 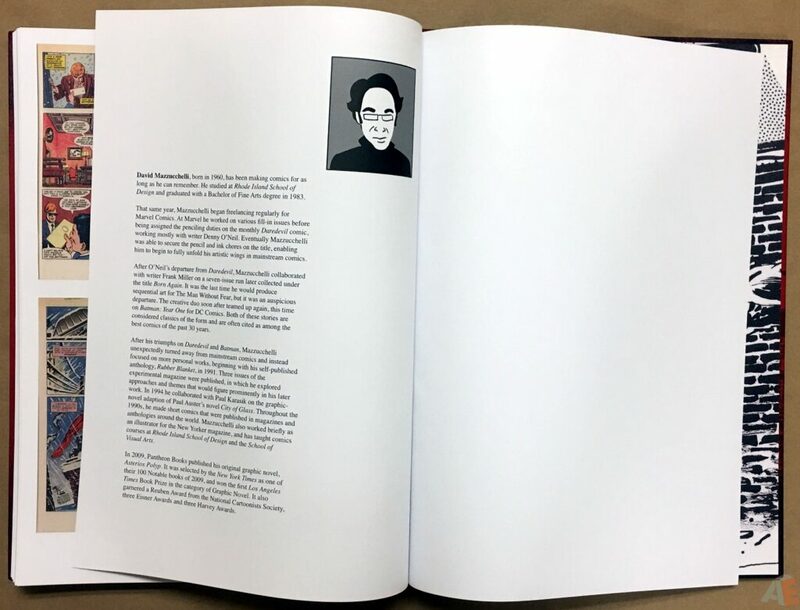 Closing everything out is a one page biography of Mazzucchelli. 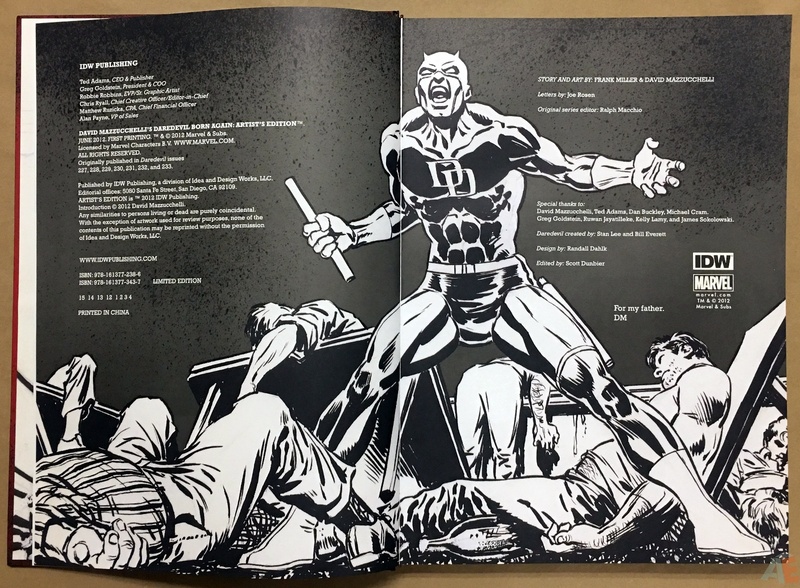 Production is excellent. 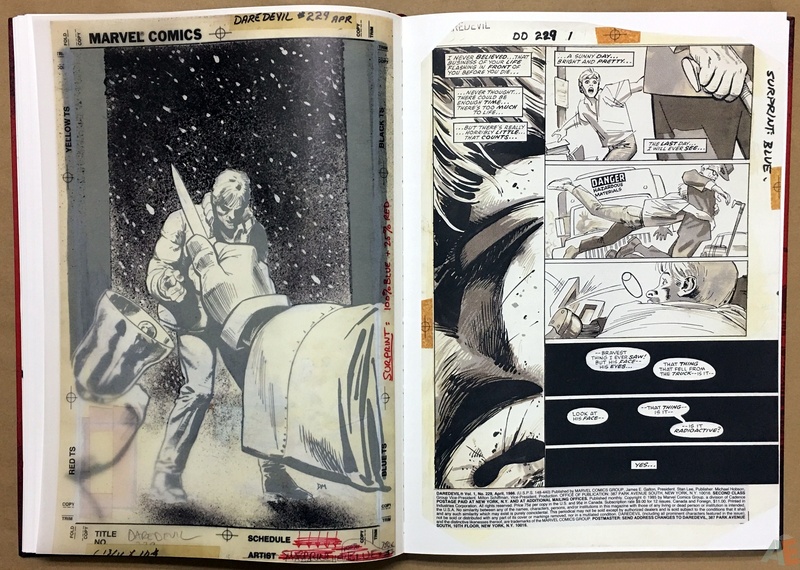 Solid sewn binding, a little too tight to allow the book’s pages to open flat. 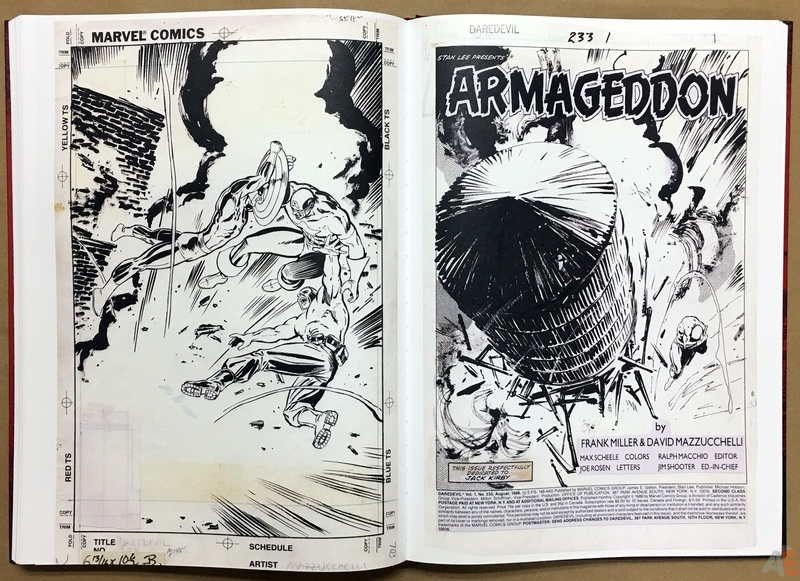 Shrinkwrapped and sold in a sturdy cardboard case. 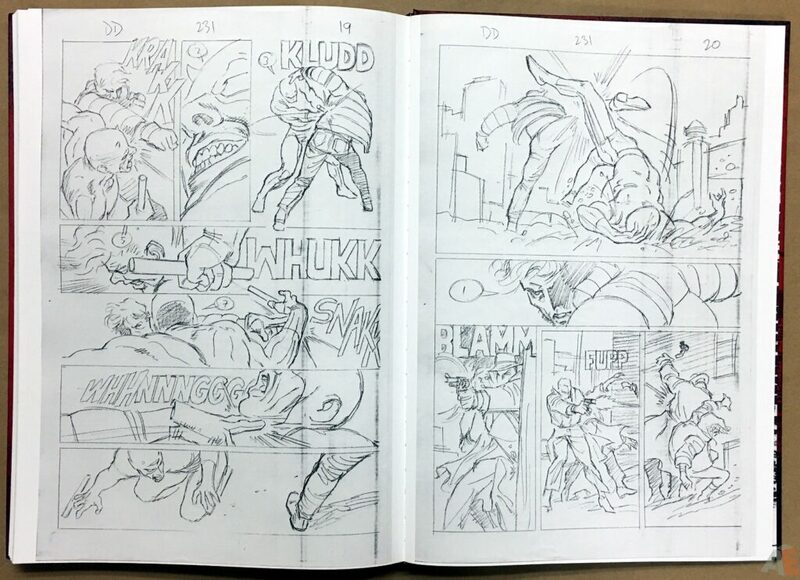 Believe or not, part of the fun for me, is the research. 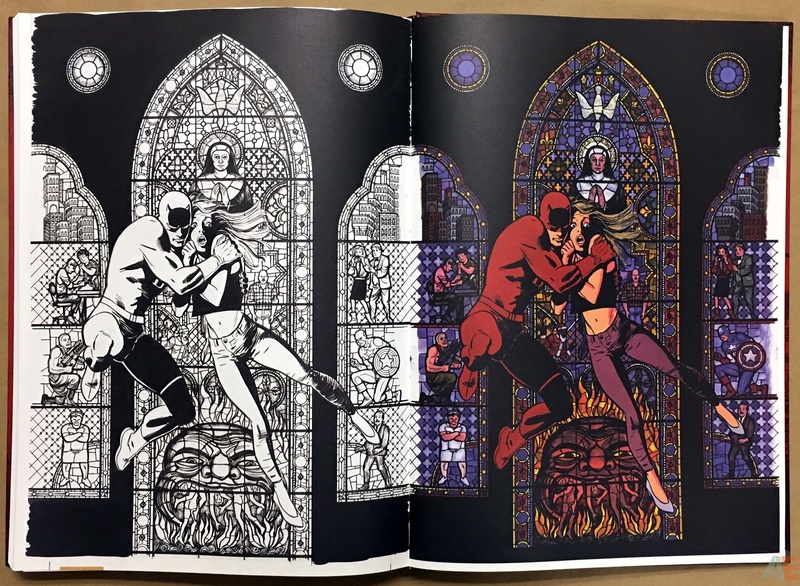 I looked up Hell’s Kitchen, and tried to get a feel for that, and compared it to how Mazzucchelli portrayed it in the book. 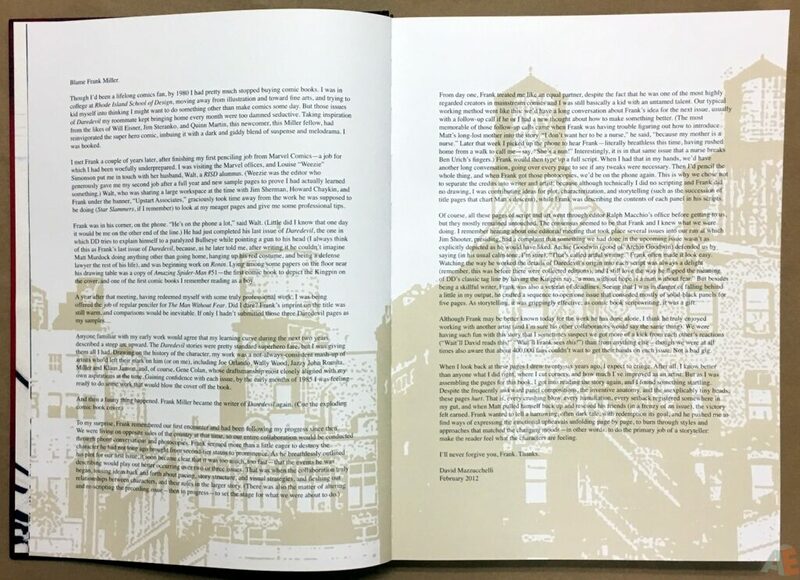 I wanted to maintain the dirt and grime of the city, along with familiar architecture. 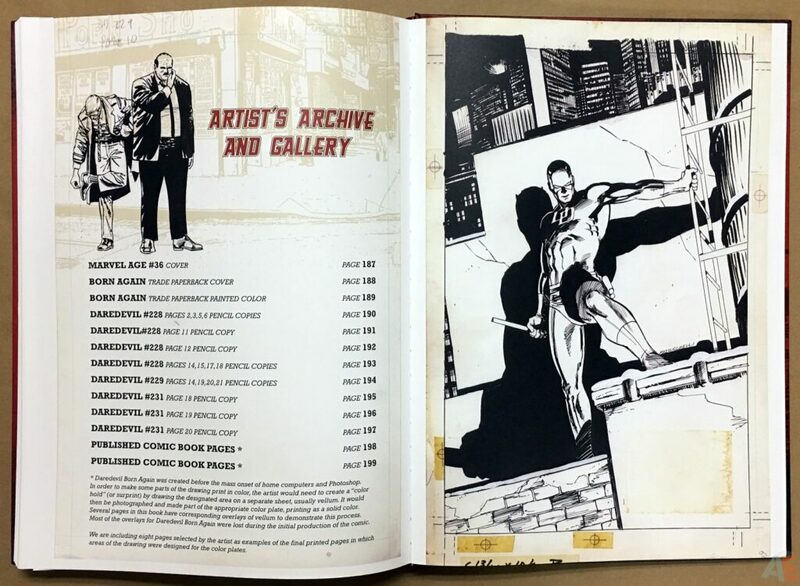 When designing the books, I want to enhance the featured artist’s work, without overwhelming it with my own personal vision. 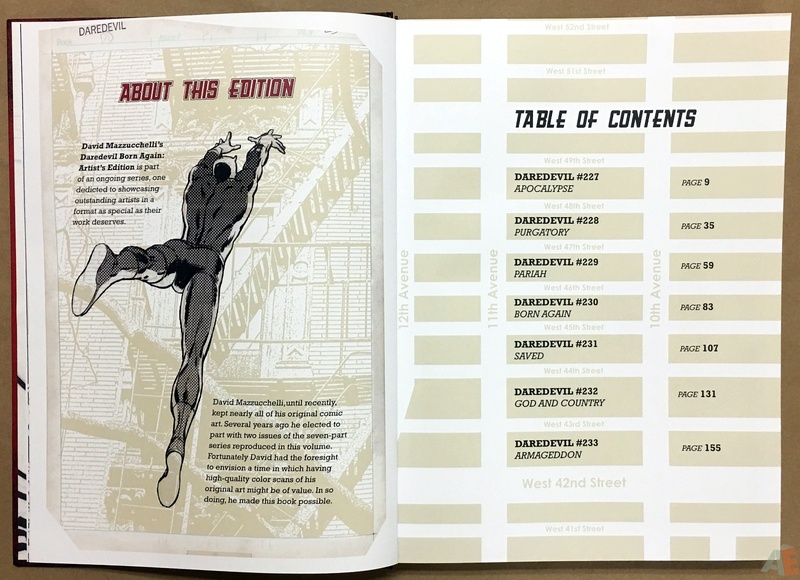 A wondrous volume of an incomparable work, stuffed with extras in an inspired presentation.